The Muskegon city commission will be voting on a payment in leu of taxes (PILOT) for the proposed Rennaissance Place senior housing development on Clay Avenue between Seventh and Eighth Streets. 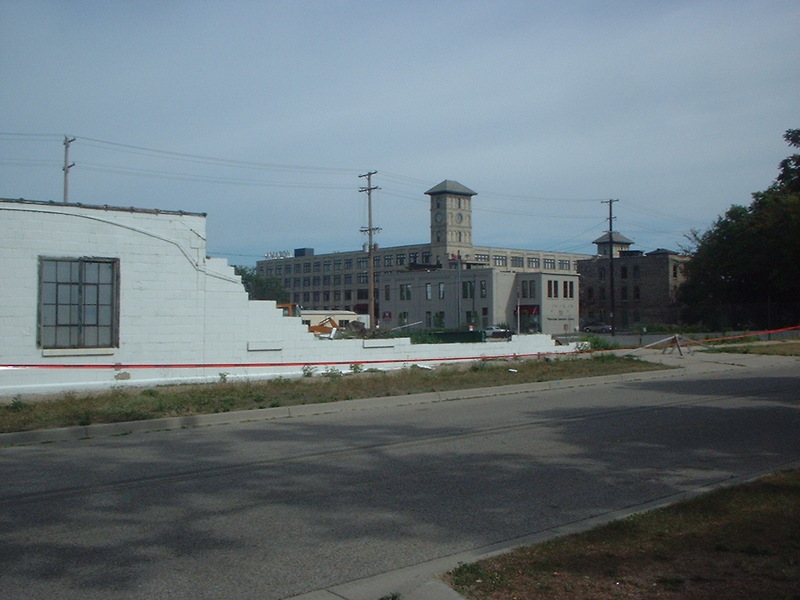 This is where the old white cinder block Muskegon Hardware warehouses were located. The proposal is for twenty-four townhome and flats apartments. 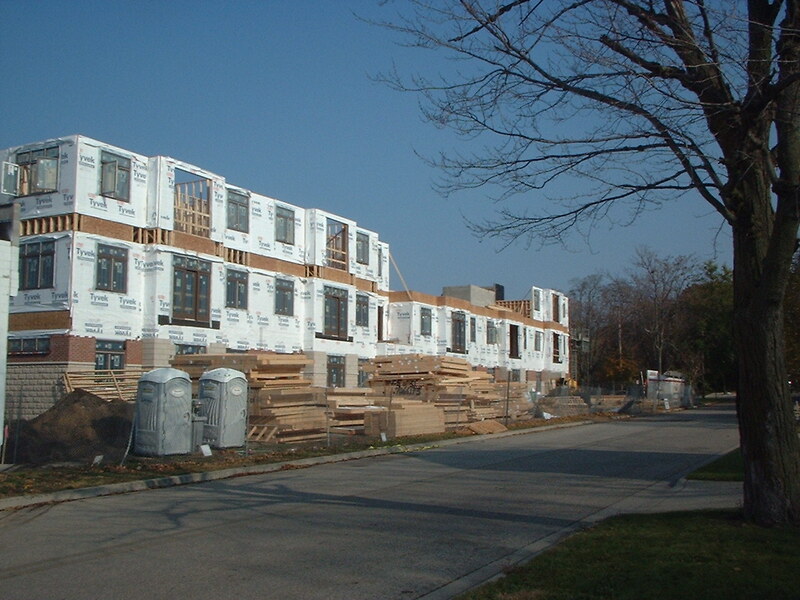 Twelve units would be two level townhouses, and twelve units would be single leve flats, making the buildings three stories tall. The units would be reserved for those fifty-five and older, and twenty-three of the units would be limited to 60% of average mean income (AMI). I personally don't have a problem with the architecture of density or the project, but I am very concerned about the concentration of income limited housing units in the immediate area. For example, between nelson Place and Jefferson Towers there are well over two hundred units of senior housing, most of which is income limited, just a couple of blocks away. Any thoughts about this out there? Without knowing the area very well, it's hard to say. But many experts believe that a mix of housing is much more sustainable than a concentration of low-income or luxury housing. Market rate housing in that area may be a better way to go. I believe the developer doing this project (from Midland?) 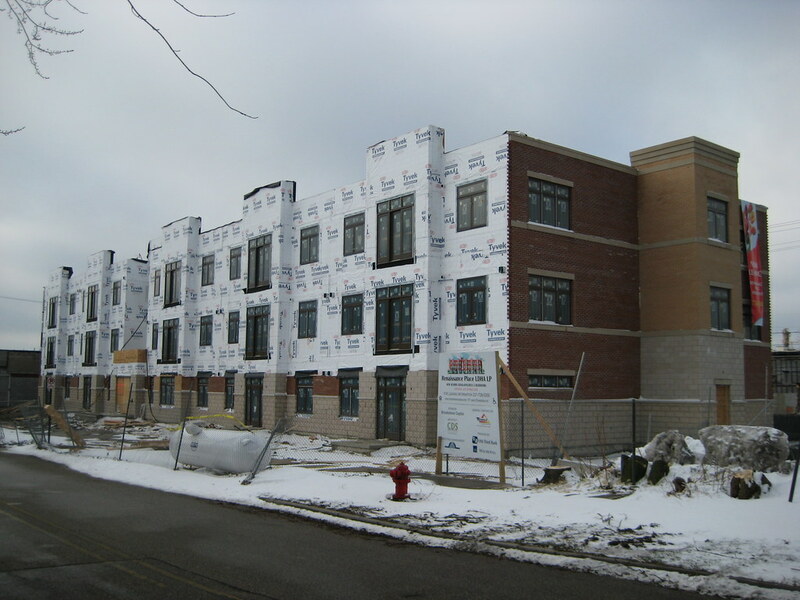 is also doing a rental project in Grand Rapids. You could contact the city of GR and see how he's doing. 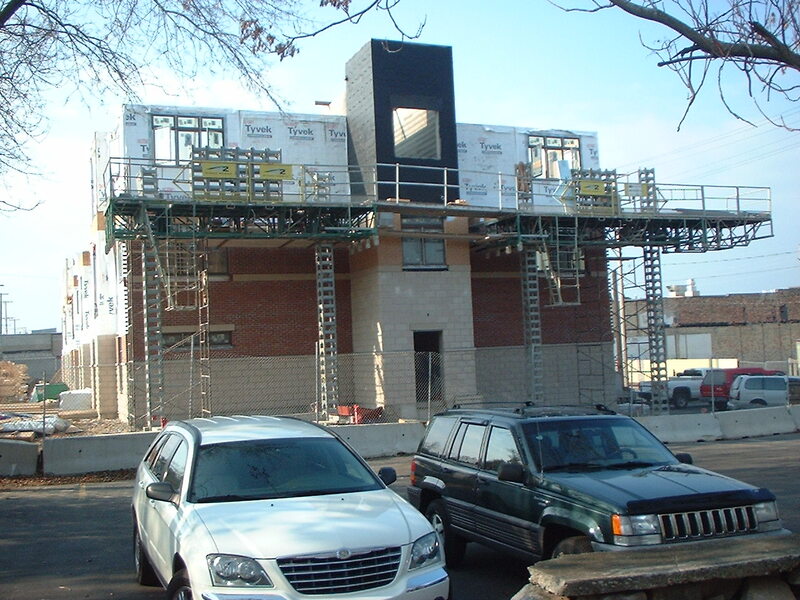 His project is moving along, with exterior work almost finished. Hmm, I kind of would like to have seen this get approved. I agree that there are a lot of low income housing units in the area, but I think this project would have been perfect for that location. I don't think Muskegon has reached the point where it can be this choosy with projects. There are tons of vacant lots downtown, many with better locations for higher income developments. I just thought this project would be better than what's currently there and make a nice transition between commercial/residential zones. Hopefully they will come back with another proposal. I agreee there seems like there is more than enough land. However considering Renaissance Place was proposed for the parcels right behind the now vacant (but hopefully soon to develop) Muskegon Hotel, I am not sure it would be possible to have a 4-6 story development on the space the Hotel currently occupies without using the lots proposed for the townhomes for parking. There is more more parking in the area (Eagles parking lot in front of ArtWorks), but parking right behind the Hotel lot would be the most convenient. Does anyone have any updates to this project? I noticed it was included on the June 14 Planning Commission agenda. I saw someone from Triangle out there making measurements today. I think he has the approvals to go ahead, but is hoping to modify his site plan on the 14th. This proposal is back? I know it got shot down before because there weren't enough market rate units in the plan. It's too bad because I'd like to see something there besides an empty lot or a parking lot. The problem is that it could effect the plans for the old Muskegon Hotel, assuming this proposal is serious. The fact that it can stabilize or increase population is a plus in it's self. 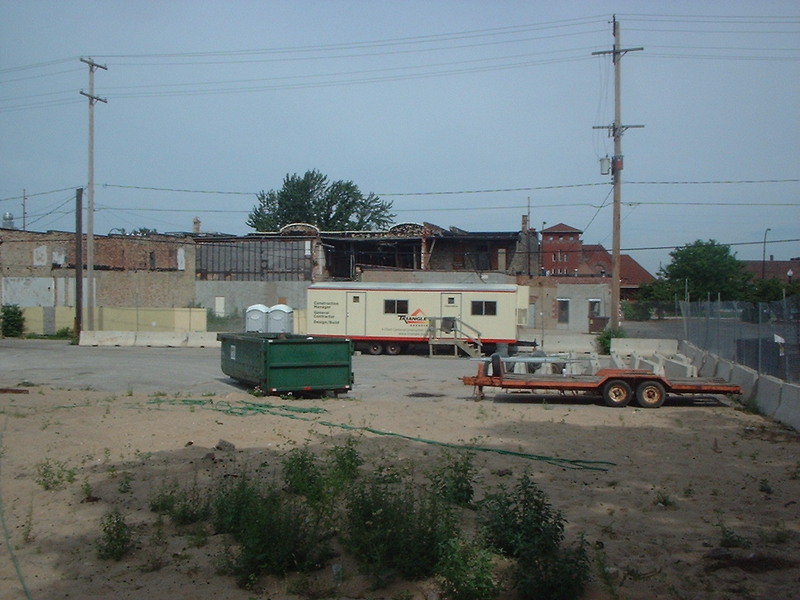 That area still has a slightly blighted look.The appearance of construction will add a positive look to the city and demonstrate ,to negative individuals,the growth going on downtown. There are empty apartments and houses all over Muskegon. Why build more. I want to see something else come in. I'll be watching for public hearings on this. Ha ha a troll!!!!!!!! I live in Muskegon, grew up here and have seen much come and go. I'm of the opinion that we would be much better suited with something other then more apartments. Sometimes nothing is better over settling for anything. No troll here. I was by the site today. They are tearing down the old warehouse on the site, so I assume this project will start construction as soon as the warehouse is gone. I really wish I had seen a rendering for Rennaissance Place. They don't even have one on site. I took this picture on September 5th. It's not the best quality but you can see they've been working on this project. You can see they have poured the foundation. I still haven't seen the rendering for this project and I didn't see one on the site so I don't know if I should be excited about this project or not, but it would have to be pretty bad to be worse than what it's replacing. It would look better then what is there now. 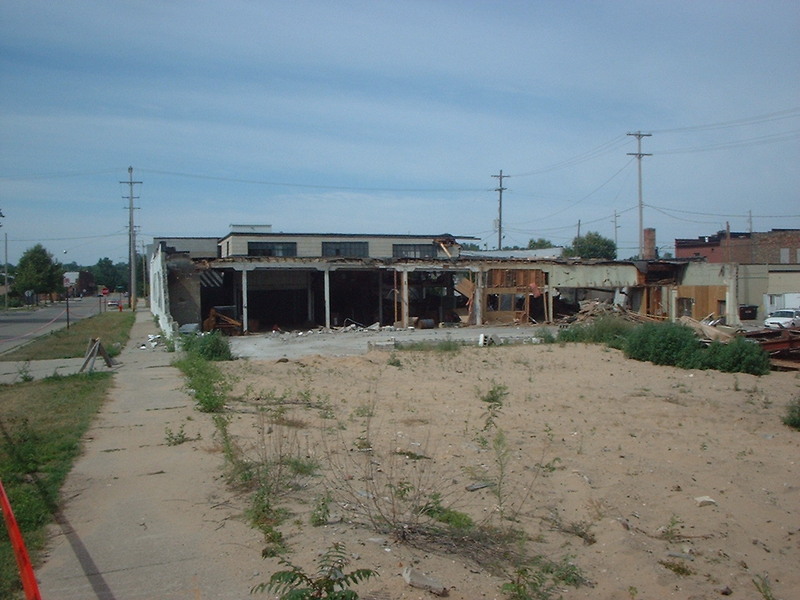 An empty,blighted block of old buildings. Turn it down and chances are the area will look the same ten years from now. Let get people downtown. Since you took this picture, the foundation is in and the west stairwell is almost up. They aren't wasting any time. Have you gone to the website yet for the site? myrenaissanceplace.com There is a rendering on the homepage. 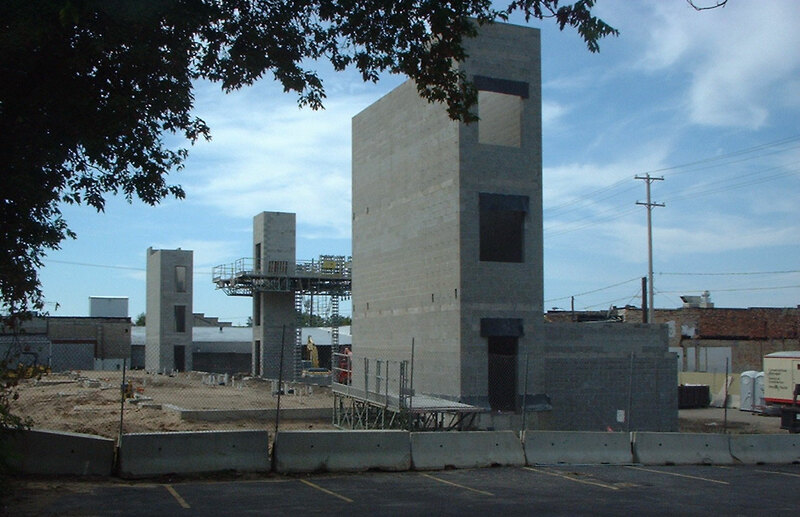 They now have two stairwells and the elavator shaft completed. The progress they have made in under a month is pretty exciting! This place has jumped out of the ground since I last saw it. You can now see the building from parts of Western Avenue as well. Work is continuing on this building.